Life is full of adventures, challenges and inspiration. 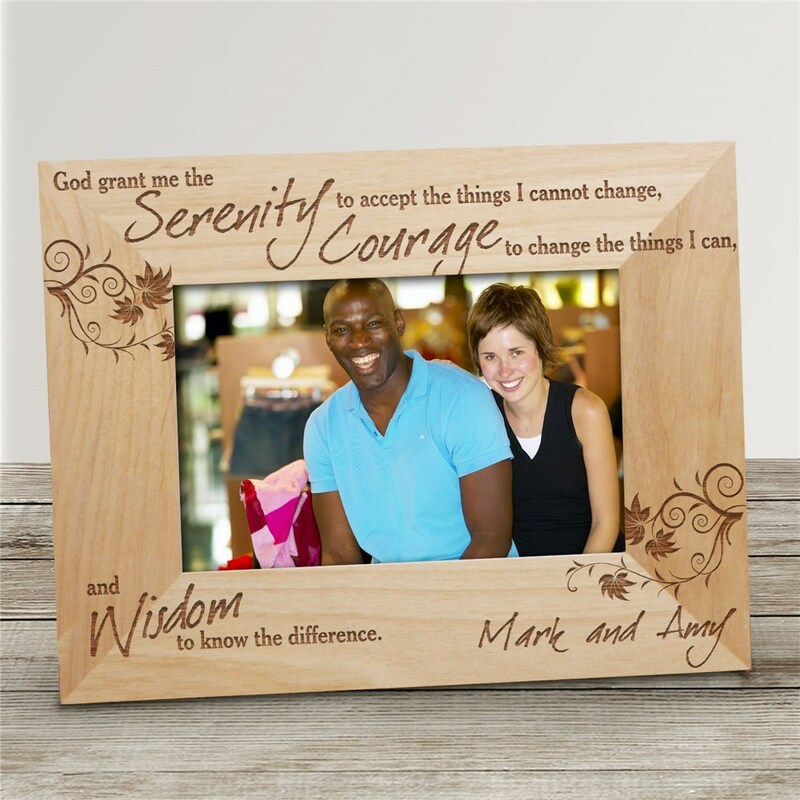 Celebrate life and how you have succeeded in doing the very best you can with a Serenity Prayer Personalized Wood Picture Frames. These beautifully Engraved Love Personalized Wooden Picture Frames make a wonderful gift for a newlywed couple just starting their life together. Our Personalized Serenity Prayer Picture Frame comes in three sizes, please choose from, 4"x6", 5"x7" and 8"x10". Easel back allows for desk display. Includes FREE Personalization! Personalize your Serenity Prayer Picture Frame with any one line message (up to 20 chars). Very nice frame. It was a gift. The recipient love it. This picture frame is so beautiful. The person I gave it to for a gift loved it so much. Thank you for such a unique and special, affordable gift. Additional Details Looking for the finest Engraved Picture Frames? GiftsForYouNow.com offers personalized picture frames, graduation picture frames, baby picture frames, wedding picture frames, custom picture frames and photo frames for every occasion or gift recipient. Come to GiftsForYouNow.com for your engraved picture frame needs.